The kids will be off school for a couple of weeks during winter break and you’ll need to fill in some time. What’s there to do? LOTS! Here are a few fun places to check out to keep the rugrats from driving you bananas… and maybe expose them to something beyond their usual go-to screening devices. 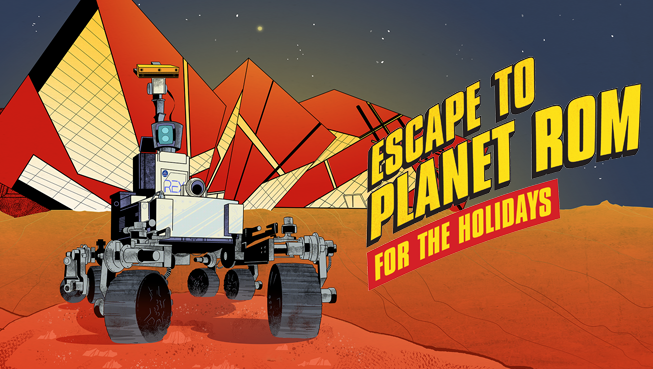 Escape to Planet ROM: (100 Queens Park) – December 26 to January 3. Go on a planetary odyssey through the Milky Way and beyond! Go on epic adventures through the museum with intergalactic activities that fill the galleries. 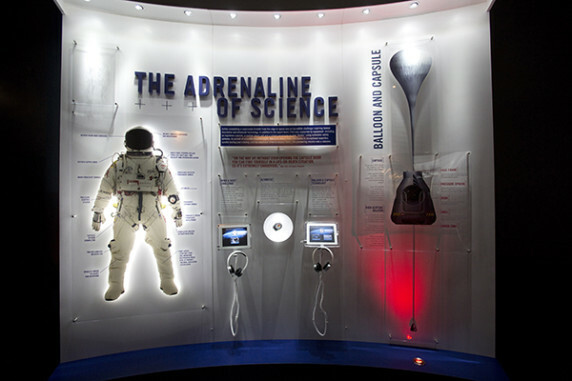 Check out a Mars rover prototype from the Canadian Space Agency; discover the wonders of the universe as you go among the stars in the pop up planetarium; have fun in the Space Arcade and play new video games; check out actual space suit gloves that have been to space; touch a real meteorite and more! 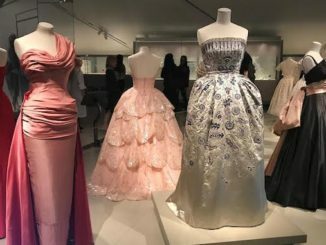 All included with general admission to the ROM. 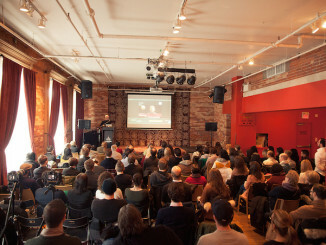 TIFF Holiday Workshops: TIFF Bell Lightbox (350 King St W) – December 21 to 28. Kids can get creative discovering and exploring the world of film. Check out workshops like How to Make a Film in a Day, Stop Motion Workshop, Special Effects Make Up and more. Tails from the City is a fun opportunity to experience theatre in the great outdoors at Evergreen Brick Works (550 Bayview Ave). This play by Marjorie Chan and the Common Boots Theatre is based on an original fable for modern times inpspired by the wild creatures in the city. Bundle up! Explore the Ontario Science Centre beyond the limits of imagination: (770 Don Mills Road) – December 19 to January 3 is full of great holiday programming. Also, on … Remember that guy who jumped from a space capsule straight to earth? Felix Baumgartner’s Red Bull Stratos exhibit is really cool to see. Capsule and space suit on display in the Weston Family Innovation Centre along with many fascinating facts from his world-record setting jump. Be sure to check out the Dream Machines: The Art of Rowland Emett an annual favourite of the world’s largest display of his whimsical mechanical inventions including the “Humbug Major Sweet Machine” made famous in the movie Chitty Chitty Bang Bang. 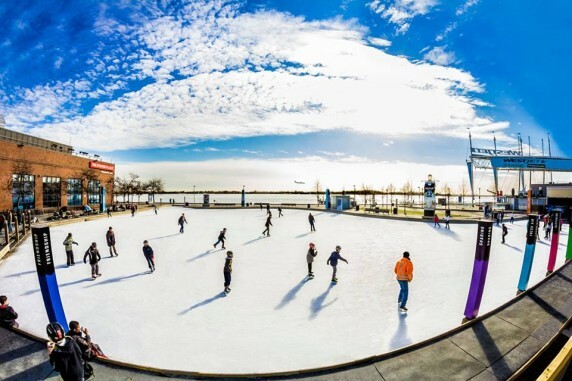 Skate at Harbourfront Centre’s Natrel Outdoor Rink: (235 Queens Quay West) – Set against the beautiful shoreline, this skating destination for 30 years has a heated indoor change room with lockers and washrooms. Skating is free when you bring your own skates and helmet. Limited rentals also available as are skating lessons for all ages. 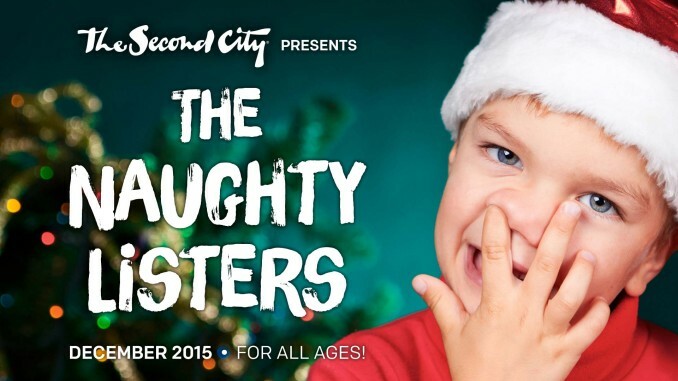 Second City presents The Naughty Listers: (51 Mercer Street) – A hilarious holiday musical for all ages. Matinee performances from December 19 to January 1. The North Pole is thrown into chaos when one of Santa’s most trusted elves goes rogue. To get the holidays back on track, Santa will need the help of some of the naughtiest children ever. 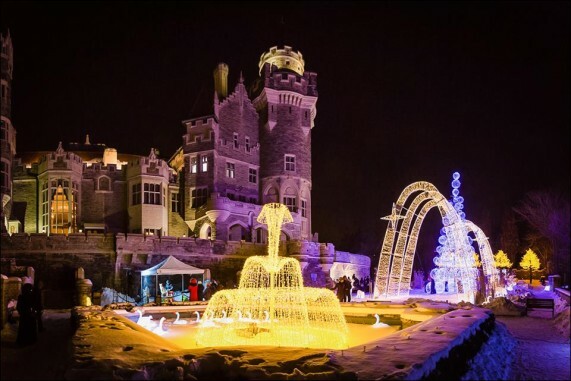 Magical Toyland & Winterland Nights at Casa Loma: (1 Austin Terrace) Ends December 30 – Take part in the holiday magic at Toronto’s iconic Castle. Performances and activities for the entire family including 30 minute spectacles of illusions that will amaze all ages. Scour the castle on a scavenger hunt and participate in creative arts and crafts. 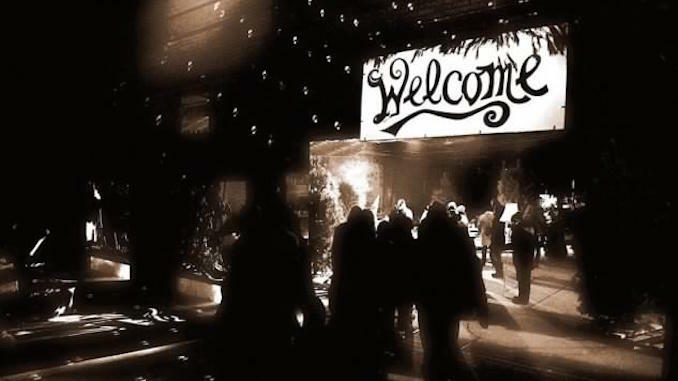 Wednesday nights open later so you can explore the Winterland. Get creative at Fusion Artz Cafe (1767 Avenue Road): Don’t overlook the sheer joy of creating something unique. 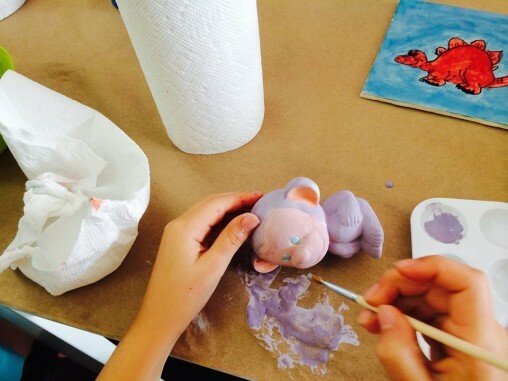 Here kids and adults can take an hour or however long they like to select their own ceramic piece and have fun bisque painting for some quiet time. Glass Fusion also available. Staff on hand to help if needed. Drop in available daily. Check site for hours. Andy Warhol Revisited: (77 Bloor Street West) until December 30, 2015. 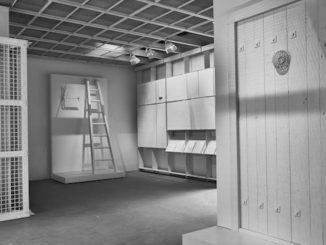 Last chance to see this incredible collection of Warhol’s work. Some of the most recognizable pieces include portraits of Marilyn Monroe, Mao, Mickey Mouse as well as the artist’s iconic Campbell’s Soup Cans (look closely at the labels). There are over 120 historic prints and paintings on view from the Revolver Gallery Collection. There are many great pockets in the city to venture for a little walk. 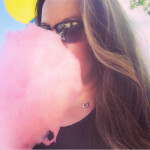 We love Sherwood Park in the Mount Pleasant and Sherwood uptown as well as the Evergreen Brick Works. 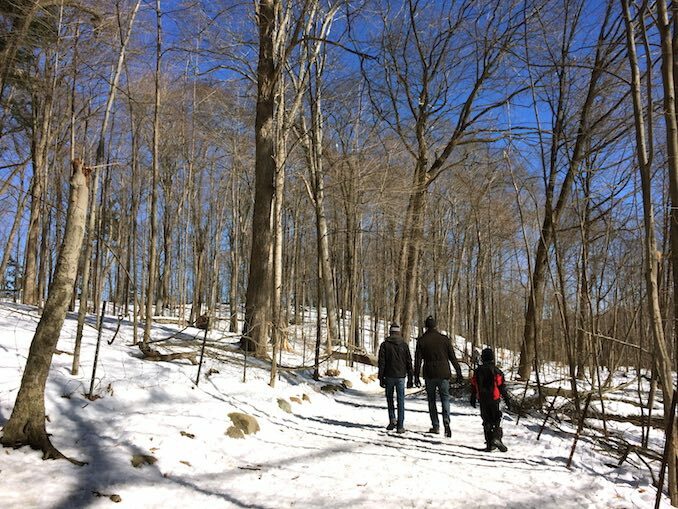 Or venture to the outskirts of the city and bring your hot chocolate in a thermos to Bruce’s Mill, High Park, Taylor Creek Park and other parks worthy of visiting. Be on the look out for Cardinals and Blue Jays!